Summary Pre-judgment: The Supreme Court's Profound, Pervasive and Problematic Presumption about Human Behavior. Copyright 2012 Michael J. Kaufman. 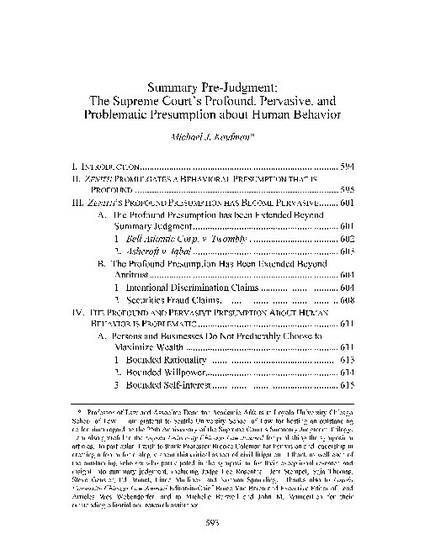 Kaufman, Michael J., Summary Pre-judgment: The Supreme Court's Profound, Pervasive and Problematic Presumption about Human Behavior, 43 Loy. U. Chi. L. J. 593 (2012).